We left the dinner thinking of venues to hold our own little project-learning BBQ, thinking we’d kick out the elderly bridge players from Warriewood Community Hall for a day and hold the event there. As was to be expected, the BIE have begun steps to holding the above mentioned conference – “PBL World 2013 Conference”. This is a positive thing, as such an event can only bring like-minded educators together to discuss project-learning and to learn from those who have experience in implementing it. However the cost of the proposed event, coupled with the requirement (and associated costs) of casual cover, transport, etc. make the event somewhat exclusive. We started scheming and planning for more of a grassroots, free, DIY event that wasn’t particularly aligned with any institution, where teachers, academics, pre-service teachers, anyone with an interest in project-learning could come together, discuss, learn, connect and plan projects to implement throughout 2013 and beyond. In a sense we lucked out too, because Bianca had a prac student very much interested in project-learning, who worked at Thinkspace, Powerhouse Museum. A perfect venue for #plsm13! You can get more info about #plsm13 here, it’s a collaborative space where project-learning idea ‘swappers’ (yes we decided to call it a swap meet, partly inspired by the Nirvana song) will continue to refine projects and share their experiences. As I’ve got this blog, I thought I’d also share my experiences of the day here. We were very lucky to have the brilliant Suzie Boss give up her time to Skype in from Florida to begin the day by answering questions that had been posted to the #plsm13 Wallwisher. Many of these questions concerned whether there is any research to demonstrate the effectiveness of project-learning. Suzie is very knowledgeable and was quick to address these concerns from the outset, discussing a few memorable studies, directing people to BIE’s research page, which has numerous links to project-learning studies. We discussed this for a while and (I think) that the answer we came to was that these considerations should be part of the project design. If the project would be better approached from an individual perspective, then don’t make it a group project. However collaborative processes should be built into individual projects, by including peer feedback, the concept of classmates as ‘critical friends’. This is important, as there are fewer and fewer jobs left in which people work in isolation, and embedding collaborative processes into each project helps to ensure the development of ‘soft skills’. “How do we get to the real world authentic stuff where students are actually making a difference in the world?” (Bianca’s question). OK, so they are my notes from what you can hopefully see was an amazing discussion with Suzie Boss. To learn more from her, you can check her out at Edutopia, where she is a regular blogger. We were so very lucky and grateful to have Suzie call in, what a brilliant start to the day! Tait has this awesome idea of blending science with creativity – dramatic representations of the respiratory system, a chemical reactions poem. Tait’s blog is here, it’s awesome and very informative. I can’t wait to get into my own classroom and get my primary students designing their own Punk Learning progress chart. It’s going to be so much fun! Cheers to Tait for giving his time to #plsm13. So that’s about it in terms of the notes I took and what I learned about project-learning from the day. There was also some discussion of the SOLO taxonomy, which looks like an excellent tool for ‘assessment as learning’, which is included in the NSW syllabus. I suppose that the major message I took from the day was that a combination of a project-learning style of pedagogy (perhaps also including something like genius hour, similar to Google’s 20% time), a formative assessment rubric (Punk Learning style), as well as an assessment for learning style taxonomy (SOLO) has wicked potential for students to own their own learning, whilst at the same time making it visible. In addition to this, I came armed with some loose project plans, and as a result of the day I was able to make some connections which should be able to provide a reciprocal audience once it comes time to implement these projects. We have set up an Edmodo group, designed to enable collaboration on projects, and it will no doubt help to this end. An additional goal project-learning swap meet is to document each project as a chapter of a book, which we hope to publish in collaboration with the Powerhouse Museum. Project-learning, ahoy! Great day, awesome event, and hopefully the beginning of many to come. 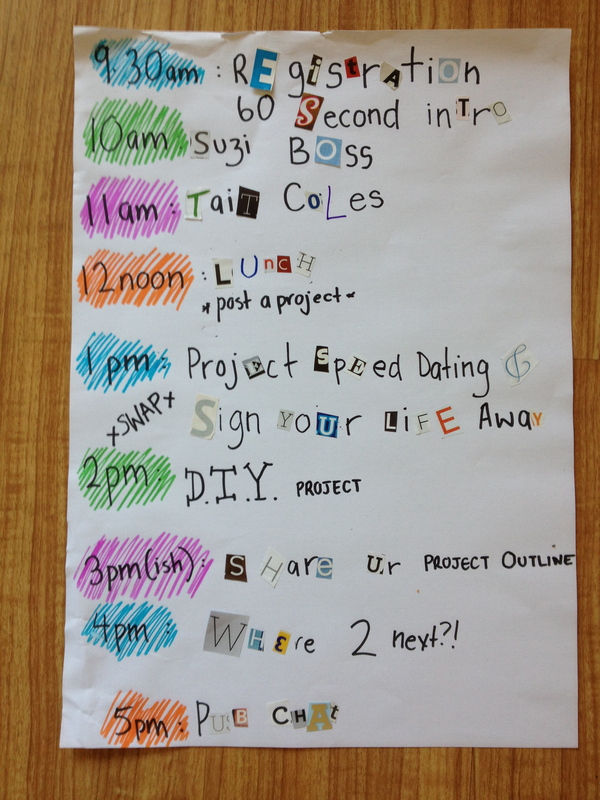 Please go to the above linked Weebly to check progress and register interest for future project-learning swap meets! And here is a storify of the twitter buzz associated with the event. Too cool! 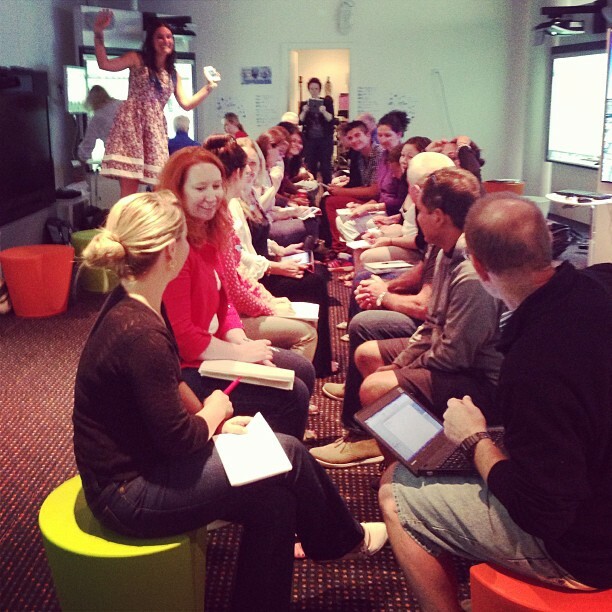 This is a very comprehensive wrap-up of our recent #plsm13 by Lee … it was such a great day! Hope you can come to the next one! Thanks for this Lee… really well said – I have tried to explain to a few people what the day was like, but this does it so much better! Unlike you, I didn’t make connections for a real audience that I will need for my kids – but that’s because I’m still working through ideas, and now my head is bursting with potential, I’ve got access to even more resources. I did, however, make connections with you and @tickytecky and @missjessm who helped me refine some of my ideas… truly amazing day. And I have no doubt that when I do nail down what we’ll do with year 8, that audience will emerge from the great connections with like-minded PLers. Thanks for a for a great write up!